Deteriorated silicone sealing or other electrical shower faults. If your broken shower isn't fixed on time, this may lead to a cockroach infestation in your plumbing system or mould on your bathroom walls. 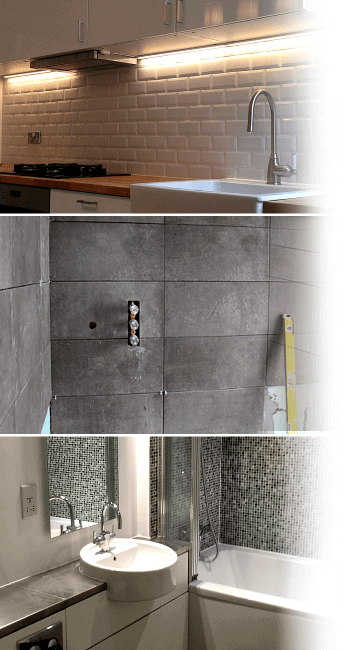 Some plumbing issues may even extend beyond your shower and damage your home as well, so we always recommend hiring a pro for a reliable shower plumbing repair. Shower leak repairs may sound like an easy thing to perform, but this job definitely has its nuances. For instance, if your home features a regular shower, an experienced plumber is all you need to get it back on track. But if it's an electrical shower instead, you will also need a qualified electrician on the case. Fantastic Handyman can send the right specialist for your needs at a time that fits your schedule best. All work, done by the competent experts, will be covered by a comprehensive insurance. The pros will not be content on merely determining the cause of your shower leak. So, besides doing a thorough plumbing inspection, the honest London team will also inspect each faucet, shower pan, handle, and the entire silicone sealing for any faults and will only leave once everything is working (and looking) as intended. We can easily provide you with any specialist your home needs, be it a competent plumber, electrician, or someone else. Thus, we can readily assist you in fixing any type of shower, be it a thermostatic, mixer, electric, a power shower, or even a shower pump. No problem is too big or too small for the pros, so they will have no trouble restoring your entire shower installation or plumbing system back to normal. Who said that we can only provide you with shower faucet repair in your home? If you happen to be a, say, fitness instructor or a physical education teacher at your local school, the experts will be ready and willing to aid you with any leaking shower repairs you need. Of course, our shower valve repair services are also available for hire by many other types of small/large businesses and institutions alike. 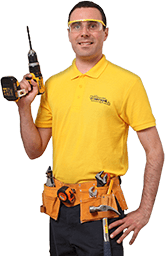 All specialists at Fantastic Handyman are easy to work with and have a friendly personality. So, regardless if you've booked a shower drain, pan, or a shower handle repair session, you can always ask the pros for advice on how to best deal with your particular problem. The experts have been repairing leaking shower faucets and plumbing systems for years and they will easily come up with a custom-tailored solution! Have in mind that you will only pay for the time it takes the handymen to fix your problem, so you are always guaranteed to get your money’s worth.